This year my youngest is going to be going to school for the first time. She has a curriculum to follow, verses to memorize, and I am very excited about her new adventure. When we met her new teacher last week it really sank in how much work they do to get things ready for all of the new kids. 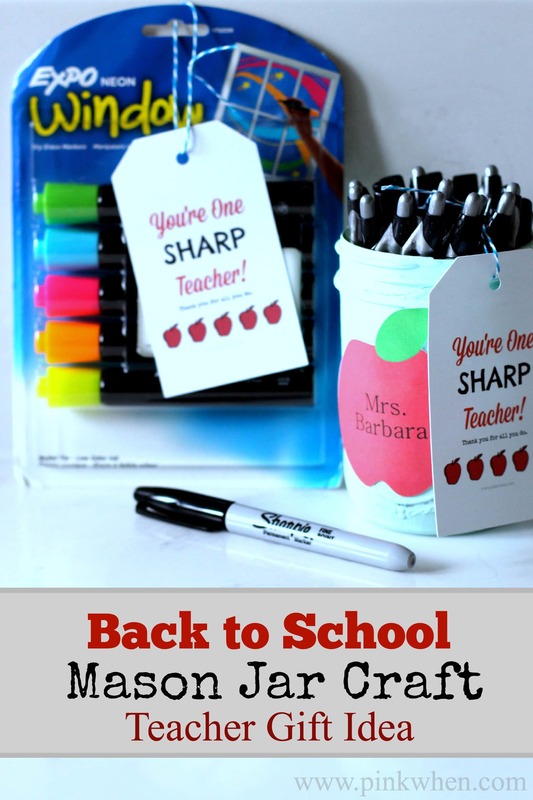 With that in mind, I went out and grabbed a few supplies to help make things a little easier for the classroom by creating this fun Back to School Mason Jar Craft and Free Printable. With supplies now in hand, I created this simple Mason Jar by simply adding a few decorative touches to the Mason Jar and then filling it with supplies. 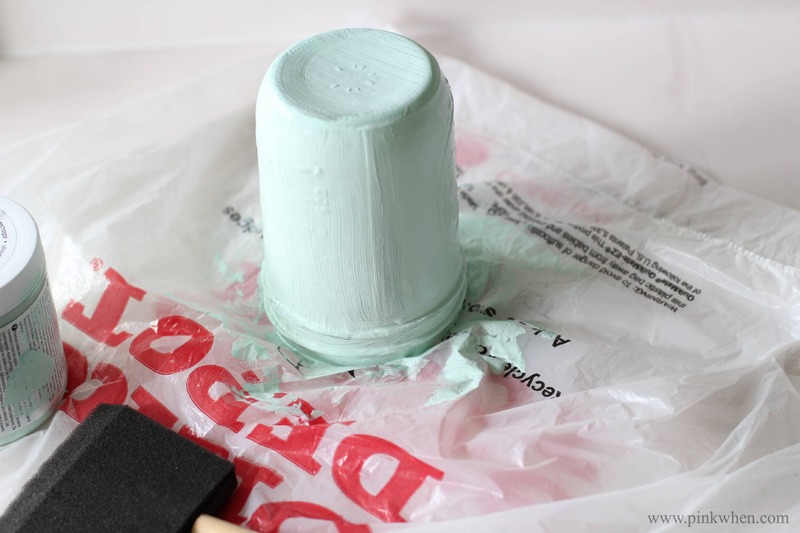 First I painted the outside of the jar with a chalky paint I had on hand. Once it was dry, I added a simple Apple sticker add her name to it. 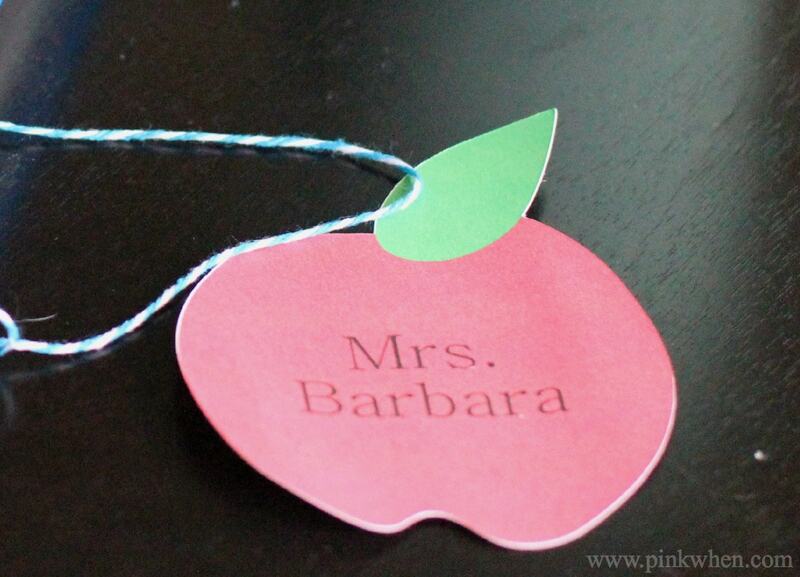 I then added this Printable Tag just to finish it off. I think it really set it off and makes it a super cute gift! It’s a perfect pen holder for her desk. 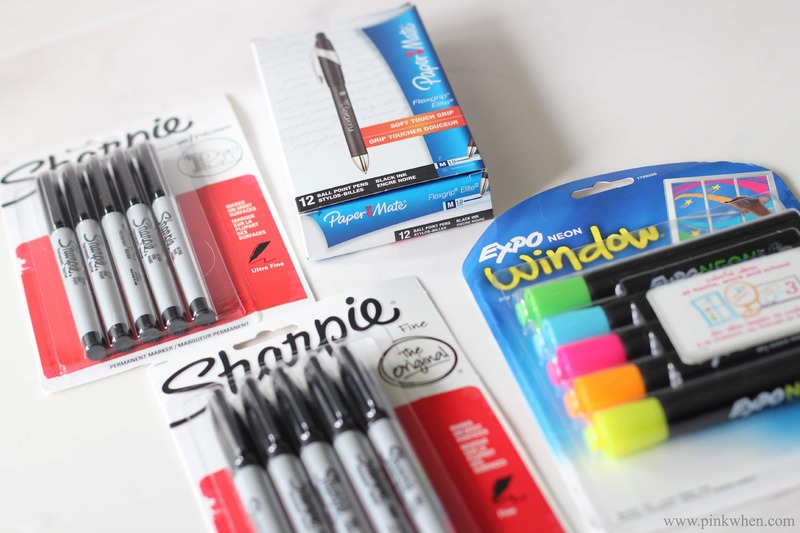 This week (Aug 17 – 23, 2014) you can find Sharpie singles for just $0.25! 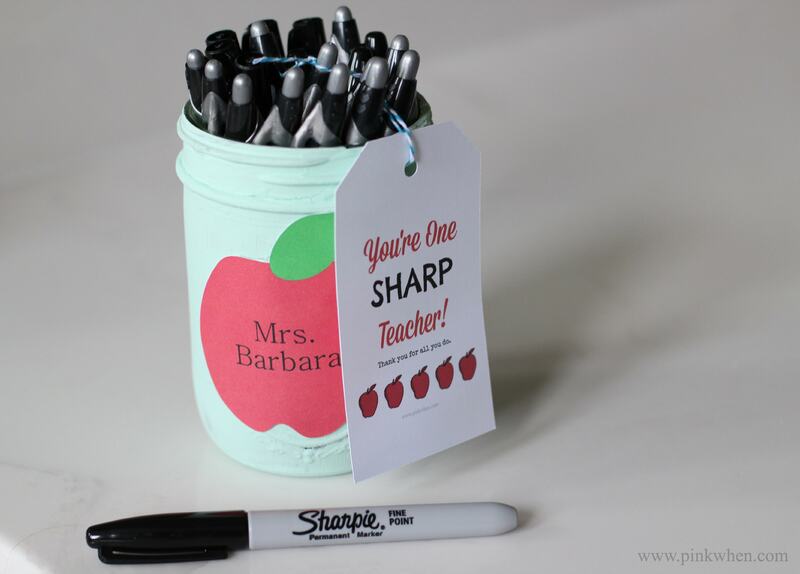 Make sure to gather up your supplies and gift your teacher with a creative Back to School Mason Jar Craft and Free Printable gift. You can grab some awesome savings while you are at it! You might also like this project for Summer Mason Jars. 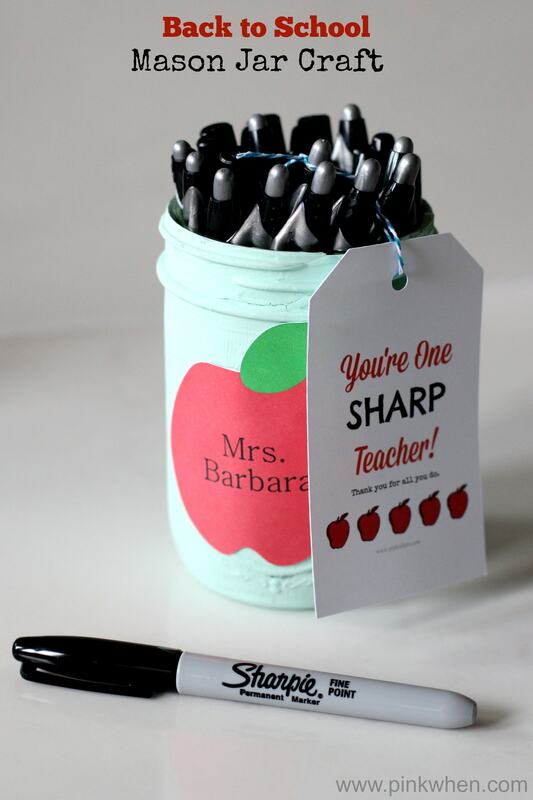 This is such a perfect teacher gift! Thank you so much Layne ! Love yours! My post goes live on Sept. 2nd. This was a fun campaign. Pinned!